With energy rates on the rise, building your own solar panel is an economical, smart, and rewarding way to produce your own electricity. Constructing your own solar panel can be completed in a few easy steps. Build your own solar panel to produce electricity. Cut your sheet of plywood to fit the dimensions needed for your array of solar cells. For an array of 36 solar cells of 3 inch by 6 inch mono-crystalline, accounting for room in between the cells, you will need a plywood sheet of 45 inches by 24 ¼ inches by 3/8 inch thick. Please note that you must use cells of the same size--don't mix sizes on the same panel. Using the wood glue and wood screws, mount the 4 strips of ¾ inch by ¾ inch wood along the outer edges of the plywood. This will provide a shallow panel box for the solar cells. Drill holes in the bottom rail of the ¾ inch strip for ventilation, pressure equalization, and to allow moisture to escape. Holes must be in the bottom rail only. Run a strip of vent tape over the holes to prevent dust and bugs from entering the panel. Cut the peg-board to fit within the panel box. Cut plexiglass to the same dimension as your sheet of plywood. The plexiglass should rest on top of your ¾-inch railing. The plexiglass should NOT lay inside of the railing. For now, set the plexiglass aside for later use. It will be attached after the solar cells have been constructed. Paint your panel box and peg-board with exterior latex paint. This will aid in protection from outdoor weather. Let paint dry for 24 hours. After letting the paint dry, lay your solar panels face down on the peg-board. Ensure you have adequate room for all cells and even spacing. Draw a pencil outline of each cell on the peg-board. Solder the solar tabs to the solder points on the back of the cells. Depending on the solar cells you purchased, you may or may not have solar tabs attached. The solar tabs are used to conduct the current between each cell. Use a very light touch and low wattage when soldering, as the cells are very fragile. Use the flux pen in conjunction with the tabbing wire to ensure the wire sticks to the cells. The flux pen is used to prevent beading of the solder. After carefully removing the solar cells from the peg-board, place silicone caulk in the center of each outline on the peg-board. Don't use too much caulk, only enough to keep the cell in place. This will allow for expansion and warping of the peg-board during climate change. Place the solar cells face-up onto the peg-board and wait for the silicone caulk to dry. To ensure proper drying, please allow 24 hours. At this point you can take the peg-board into the sunlight and conduct a test with your volt meter. If everything is working, mount the peg-board inside of the panel box using three wood screws across the top, middle, and bottom. Connect your electrical wire to the solar tabbing at the end of your circuit and add your blocking diode. Drill a hole at the bottom of the plywood and run your electrical wire outside of the panel box. Connect a female plug to the end of your electrical wire. Before sealing the plexiglass, run one more test with the volt meter. If everything checks out, screw the plexiglass down and seal any openings with silicone. Seal the outer edges of the panel box with aluminum tape. Congratulations you have just built your first solar panel. 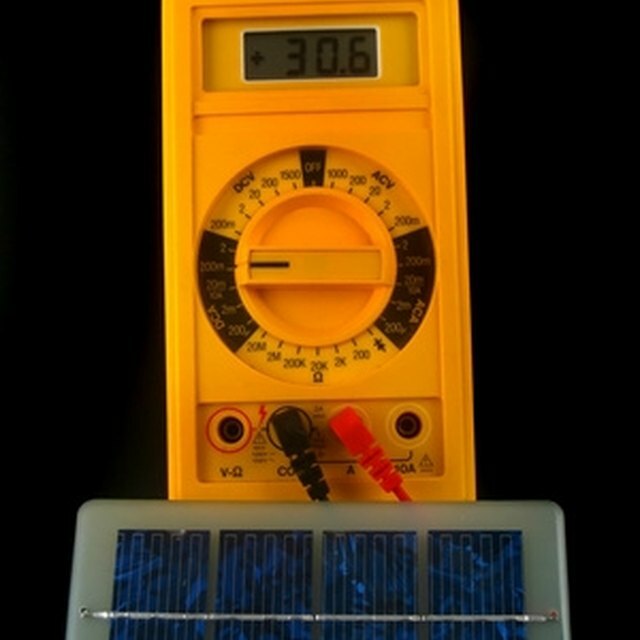 Next, look into connecting your solar panel to a charge controller. Please use caution when working with any electrical device. Richard A. Newman is a freelance writer who travels the globe in the pursuit of happiness. He cut his teeth with the Chitown Daily News and thinks that Chicago just might be the greatest city on earth.